This attractive, modern three - four bedroom home is situated close to Ivanhoe Grammar School. With three bedrooms plus a large study / bedroom, two separate living areas, stunning alfresco area and DLUG it would be ideal for a family home or a downsizer wanting low maintenance living; or investment property. This home is located on a 400sqm allotment. The master bedroom is spacious with an en suite and WIR, the additional bedrooms are also generous in size with BIR's. The kitchen is bright, modern and open plan with stainless steel appliances and stone bench tops and conveniently situated close to the alfresco area. 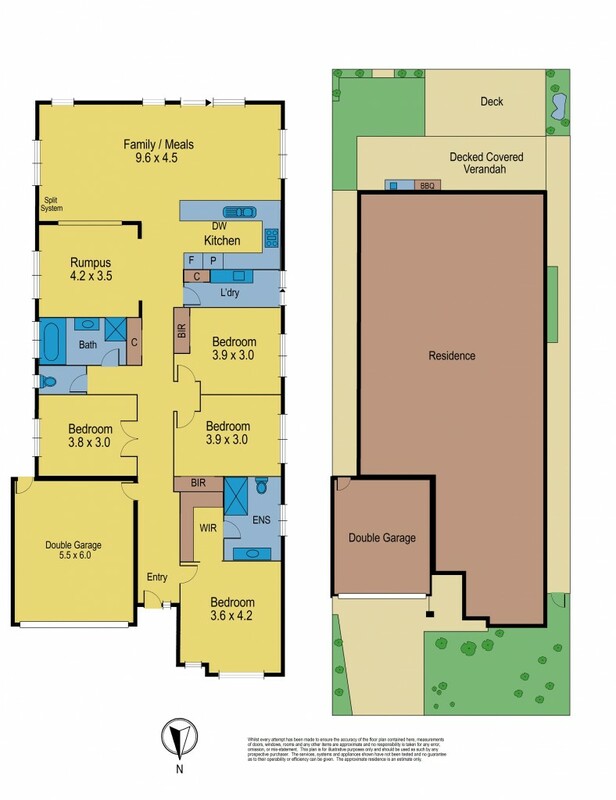 The living area is located off the kitchen meals area with a separate rumpus / lounge room. Other features include: ducted heating, split system cooling, DLUG with remote control and internal access, quality porcelain tiles throughout the living and wet areas and many other great features..